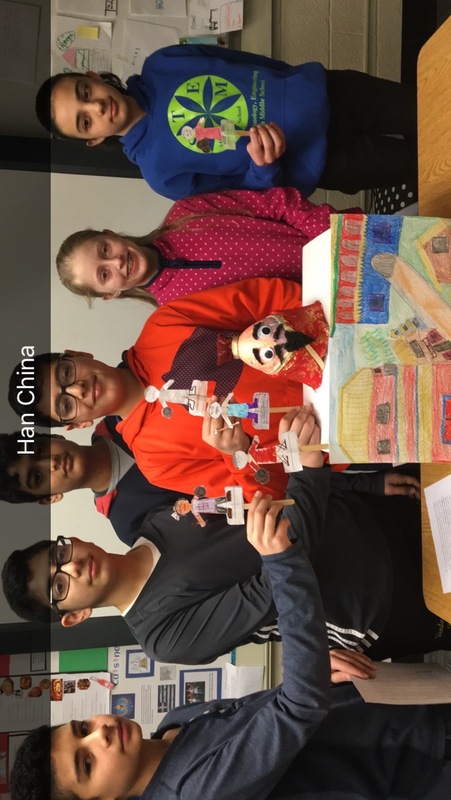 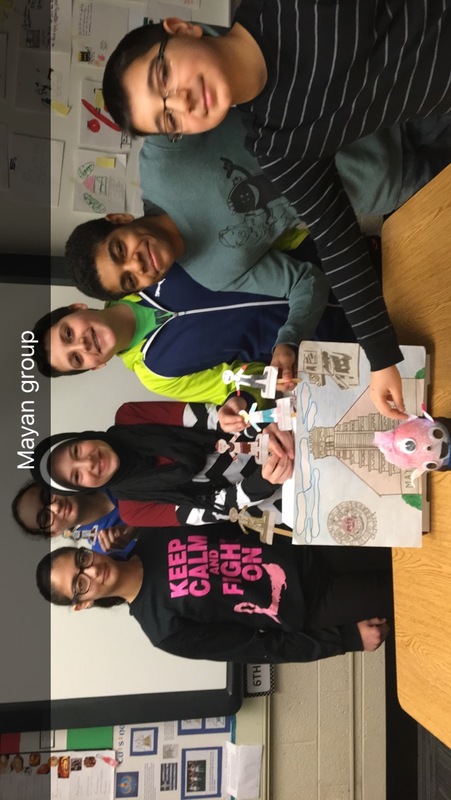 7th grade students in Elissar Hammoud’s class performed their “Fall of Empires” plays! 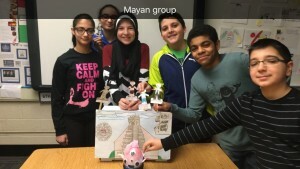 Ellie took a strategy from the UM-D Saturday class and adapted it to her social studies class. 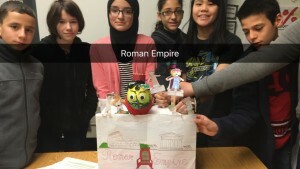 The students were learning about factors that led to the fall of Empires. 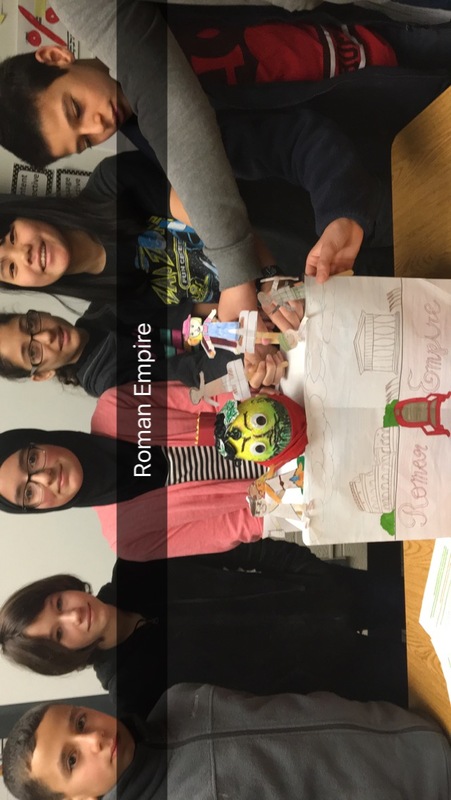 Groups were assigned an empire and given an “eggperor” to design. 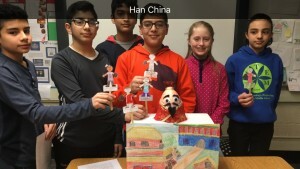 They were then required to write a play depicting the empire’s fall using characters of their choice.